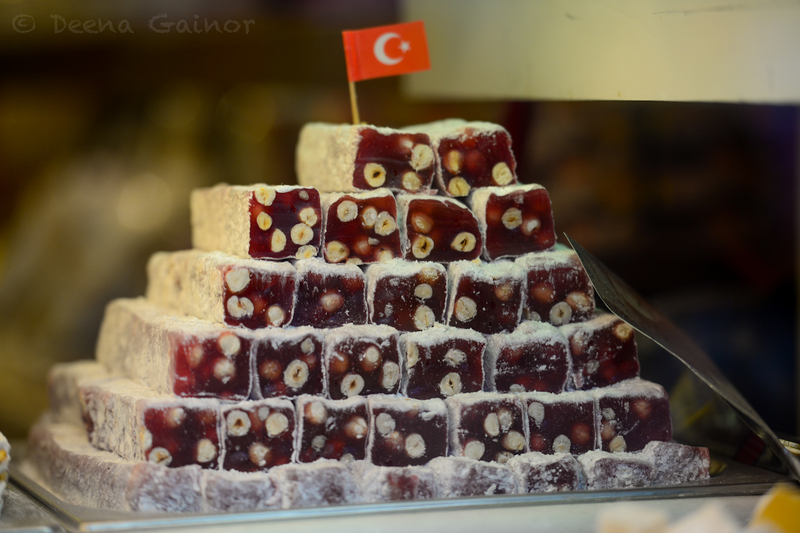 As mentioned in the previous post, Istanbul and the Famed Hagia Sophia, my children may not always enjoy history, but they certainly do enjoy trying new foods and sweet treats. That’s what makes Istanbul an ideal place to visit, at least for our family. It is a melting pot of different cultures and you can most readily see that in its dining choices. 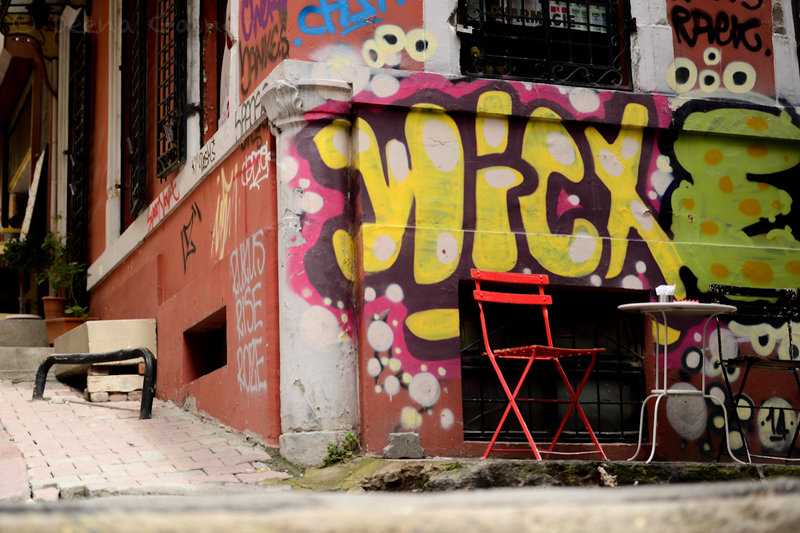 Yes, there are also a ton of wonderful historical places to visit throughout Istanbul. If you Google “Istanbul”, you’ll quickly be provided with a huge list, including places like the Hagia Sophia, the Blue Mosque, and Topkapi Palace, to name a few. They are all wonderful, but I’d prefer to focus on my taste buds for a moment. So…let’s move on from the historical part of Istanbul (even though we’ve just scratched the surface), and instead talk Spices and Food! Sound good? 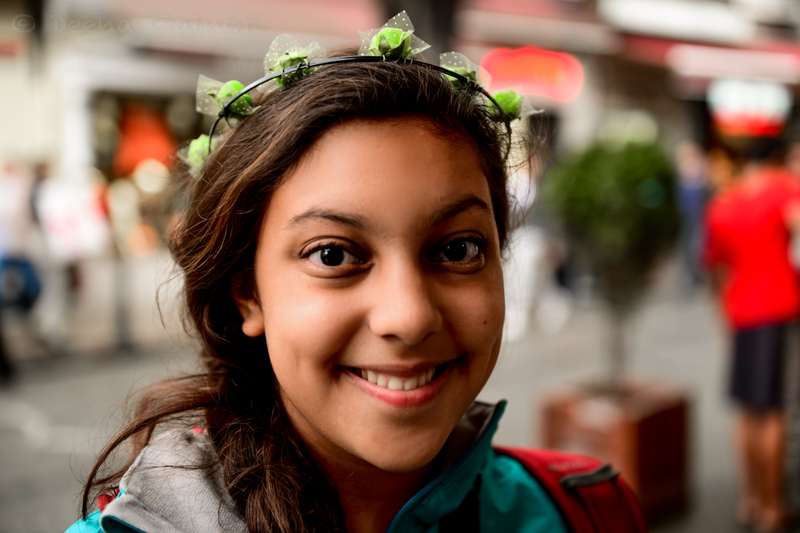 We were enthralled with Istanbul, and enticed just strolling through the streets and marketplace. 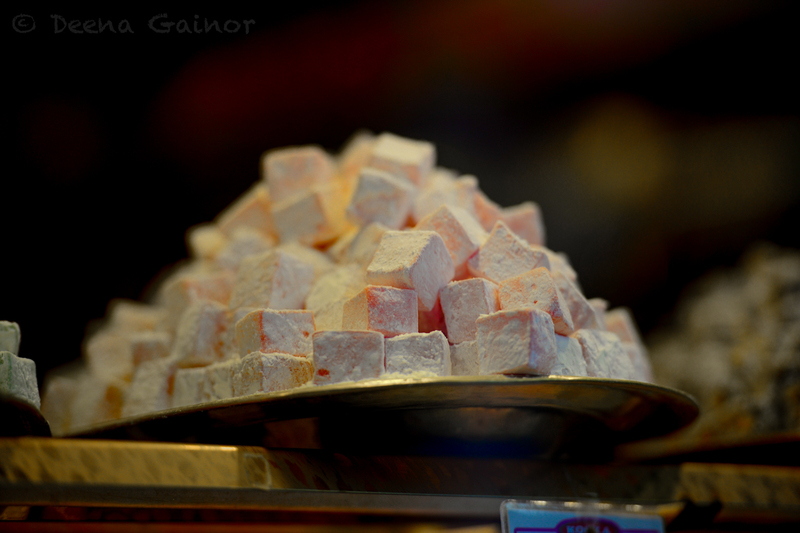 A favorite for all of us was the Grand Bazaar. Everywhere we turned, there were heaping mounds of exotic spices and unique, colorful items for sale. 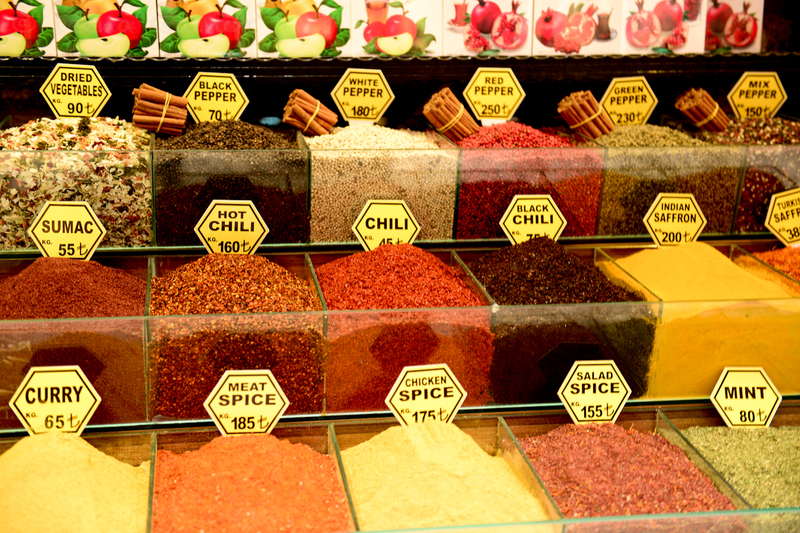 If you’re a shopper, you could spend hours exploring all that Istanbul has to offer! We were bombarded with beautiful sights, rich aromas, and flavorful tastes around ever corner. It was overwhelming in an exciting way! 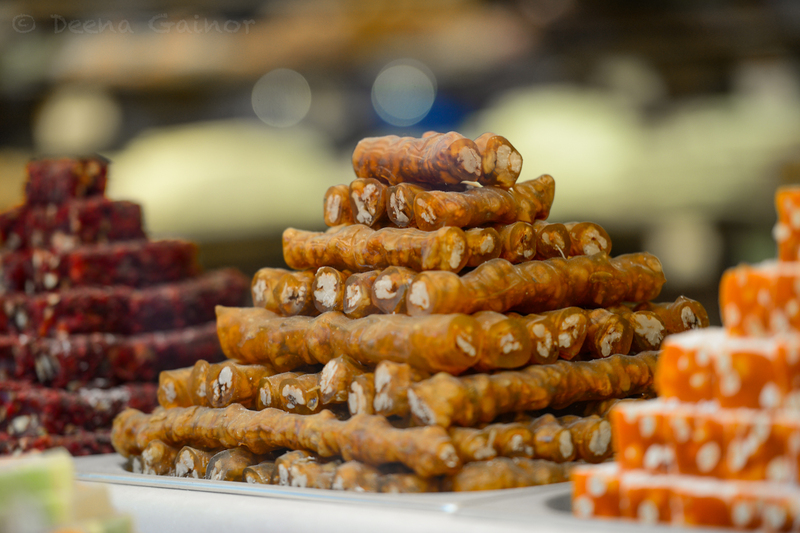 The kids especially couldn’t get over how many Turkish Delights stores there were. How any one store makes a living is beyond my comprehension, but they all seemed to be thriving. And the food. The FOOD! Honestly, we couldn’t get enough. 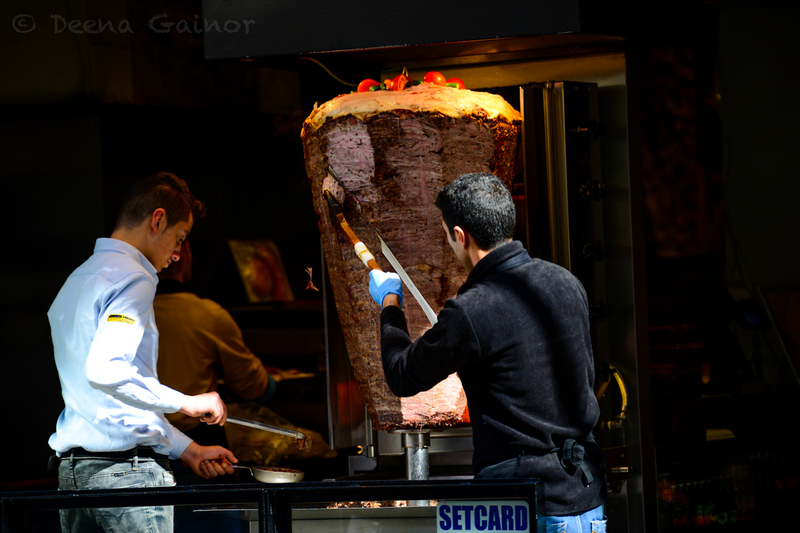 Take a look at this gigantic Doner Kebab Rotisserie. The meat is so full of flavor. 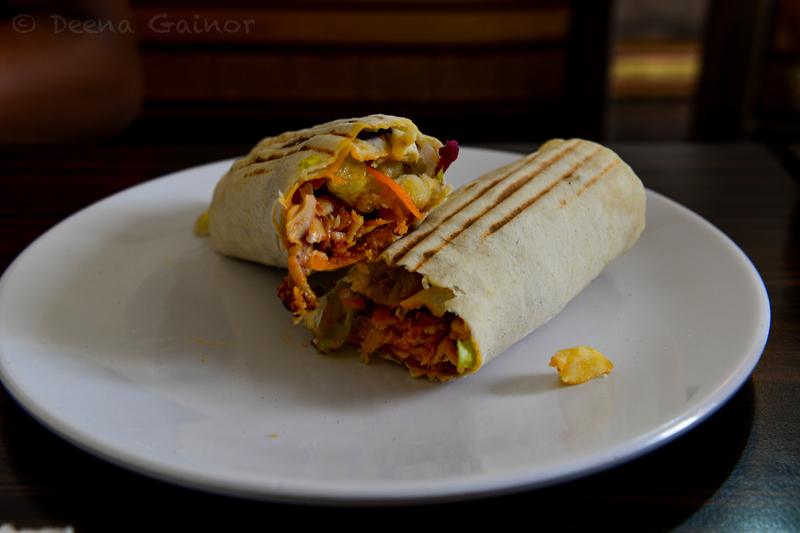 It was one of our favorite meals, both on a platter or in a wrap. Did I mention Istanbul is also beautiful? Here are a few sights we appreciated along the way. Even the graffiti can be pretty. My post on Istanbul could be much longer. We packed in so much in our week there, and yet feel like we could return for more. If you ever have an opportunity to visit Istanbul, if even for just a short stopover, as it is the hub for many flights, make the time to do it. It is a unique, colorful, friendly “East Meets West” kind of destination and you will not regret it. Good-bye for now, Istanbul…my new friend. May we meet again one day. Claire, I hope you have a fantastic journey! You’ll have to come back and share your experiences with us. We’d love to hear about it.